Moving to a more expensive part of Cambridgeshire to be nearer to family initially caused a few worries for husband and wife Theresa and Roger Webber, who expected it to be a difficult process. 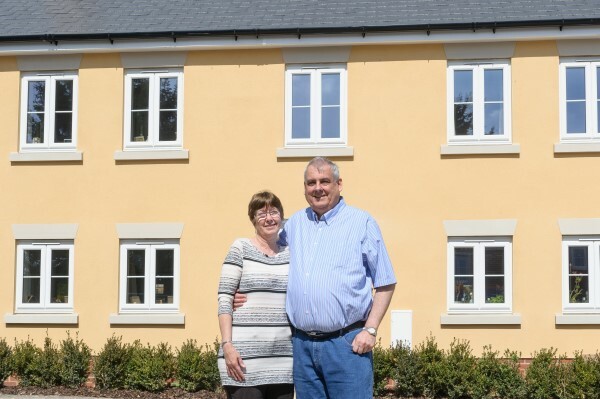 But the couple say selling their old property, buying a new home and actually moving in, couldn't have been easier - and it was all thanks to Bovis Homes staff. 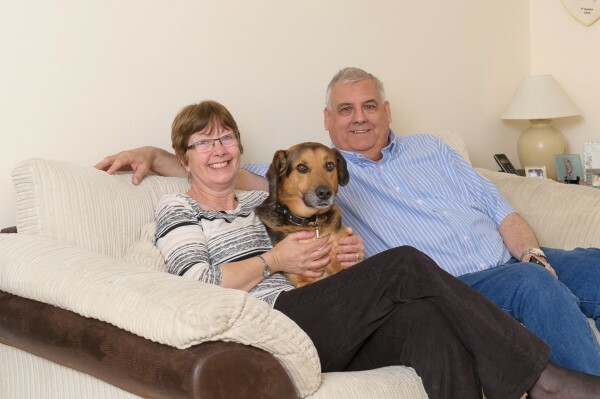 The Webbers were moving from Chatteris to Soham, but as they are both retired and in their 60s, they didn't want to take out another mortgage. Theresa said: "My daughter mentioned that the Bovis Homes development, Morris Gardens, was opening in Soham so we went to have a look. It was very early days, just a muddy field, but the sales advisor was extremely helpful and went through all the plans and house types with us in great detail." Not only did the Webbers immediately reserve one of the most popular plots at Morris Gardens, but they also signed up for Home Exchange, the Bovis Homes scheme where their old home was used in part exchange towards their new one. Theresa said: "The scheme was absolutely brilliant. Bovis Homes offered us an extremely fair price for our old house and with our savings it meant we could actually afford a bigger new one. "Once we agreed their offer that was it. There was no reducing the price later on, no worry about buyers dropping out and we were able to stay in our old house until our new one was ready. It all flowed very smoothly and it took away all the stress." Bovis Homes staff took the couple on three site visits to Morris Gardens to watch the build progress on their four-bedroom Montpellier home, and the Webbers were invited to choose their preferred style of kitchen and tiles from a range of options. Theresa said: "The sales advisor and site manager couldn't have been more helpful and supportive. They really made us feel part of the process and kept us involved. We never felt alone and it gave us huge confidence in the company - something that remains to this day. We've had regular visits since we moved in and everything is excellent. "We are really pleased with the house and the excellent customer service we've received. Our new home is wonderfully spacious, it feels like there's room to breathe and it's in a great position with a big garden and plenty of room for cars. It was a fantastic bonus to buy a bigger house and it was all down to Bovis Homes and Home Exchange."